There are few things that you will need to check before buying Tyre(s) and not to be cheated by sales person. First of all, you will need to check on your vehicle owner’s manual to see what is the manufacturer’s recommended specification for your Tyre. B – Known as the aspect ratio.It is the Tyre height percentage of it’s width. i.e. 55% of 205mm. C – The diameter height of the tyre’s inner rim in inches. D – Load index. The maximum load that it can carry in KG. i.e. A Tyre with load index of 91 can carry 615KG of weight. E – Speed rating. Indicates the maximum speed for a correctly inflated Tyre and being used under load. i.e. A Tyre with a speed rating of V has a maximum speed of 240 KM/H. Below is the other speed limit rating for a Tyre. Note: A service description indicates the Tyre’s load index and speed rating. Service descriptions are required on all speed rated Tyres manufactured since 1991 except for the Z speed rated. **W and Y speed ratings are subcategories of the Z speed ratings. 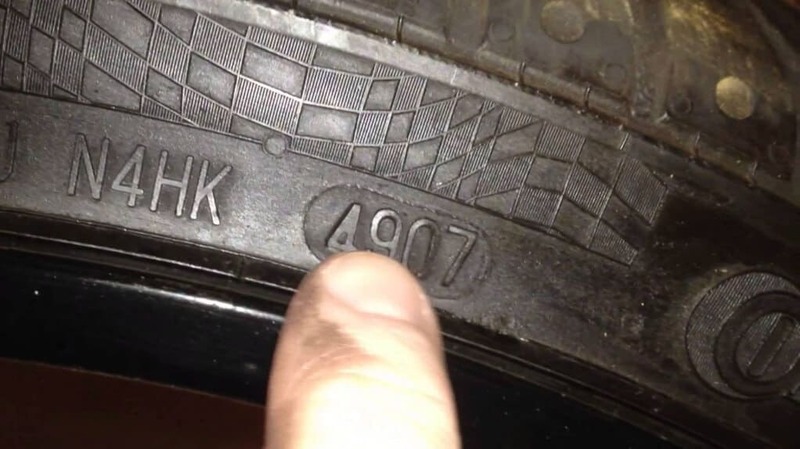 Each Tyre has 4 digit code on it’s sidewall which tells you the week and the year it was manufactured. The maximum usage of Tyre(s) is five years from the date it was produced. If you’re buying new Tyre(s), please ensure it was produced in the current year. If you’re buying used Tyre(s), you can negotiate the price with the sales person as per the general guideline below. 5 year old Tyre: FREE – Not recommended to buy Tyre which is 5 year old and above. Note: The above is just based on my opinion and you can use them as a general guideline. If you find this article is helpful, feel free to share via the social buttons.